An elegant illusion set diamond ring crafted in 9ct white gold. 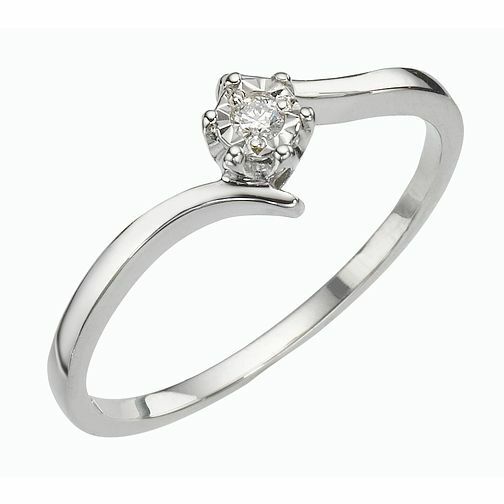 9ct White Gold Illusion Set Diamond Solitaire Ring is rated 4.3 out of 5 by 20. Rated 5 out of 5 by Anonymous from Very happy customer! This is a beautiful ring, great quality and really good value for money. The setting of the ring is quite quirky, exactly what I wanted. The service from H Samuel was faultless too. Needless to say I have a very happy fiancé!